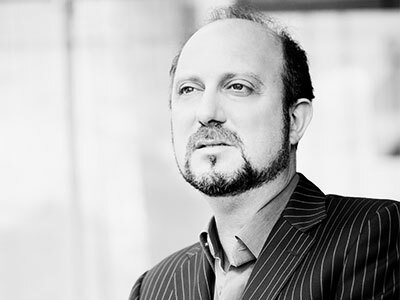 Alexander Joel made his debut at the ROH in 2012 and has been a regular guest ever since, conducting productions of Carmen, La traviata, Rigoletto and La bohème. Operatic highlights include: new productions of Manon Lescaut (Dutch National Opera), Madama Butterfly (Staatsoper Hamburg, available on DVD with Arthaus), Macbeth (Royal Danish Opera), Rigoletto and Madama Butterfly (Grand Théâtre de Genève), and Faust (Sächsische Staatsoper Dresden). He is also a regular guest at houses such as Bayerische Staatsoper, Deutsche Oper Berlin, Semper Oper Dresden, Finnish National Opera, New National Theatre in Tokyo, Den Norske Opera, Deutsche Opera am Rhein, Oper Koln, Hamburg Staatsoper, Teatro Municipale Santiago di Chile, Boston Lyric Opera, Royal Opera Stockholm, Volksoper Wien and Opéra de Marseilles. On the concert platform, he is a regular guest with the Orchestre de la Suisse Romande after his work with them at the Grand Théâtre de Genève, the WDR Rundfunkorchester, Duisburger Philharmoniker, Düsseldorfer Symphoniker, Danish National Symphony Orchestra, Orchestre National de Montpellier, Haydn Orchestra of Bolzano, BBC Philharmonic, and RSO Wien.